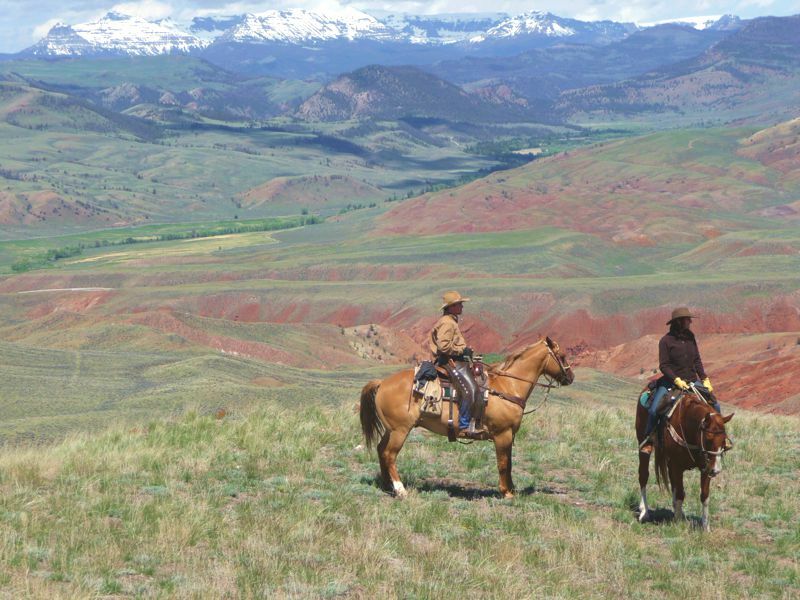 At the heart of the Lazy L&B ranch is the unsurpassed horseback-riding experience for ages 6 and older. 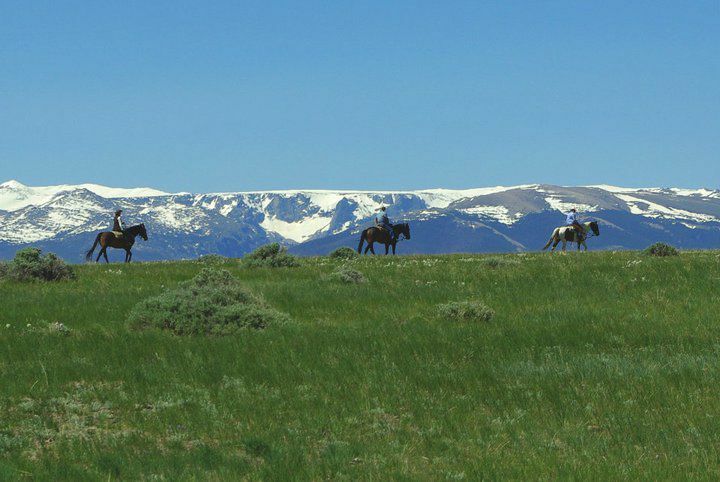 Horseback riding in Wyoming, and particularly at our ranch, is something you have to experience to fully appreciate. 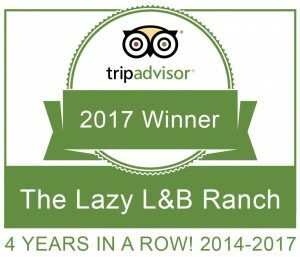 You can explore our dude-ranch photo gallery and our top-ranked TripAdvisor reviews (Certificate of Excellence Winner 2014-2017), but you need to visit us to really get it! 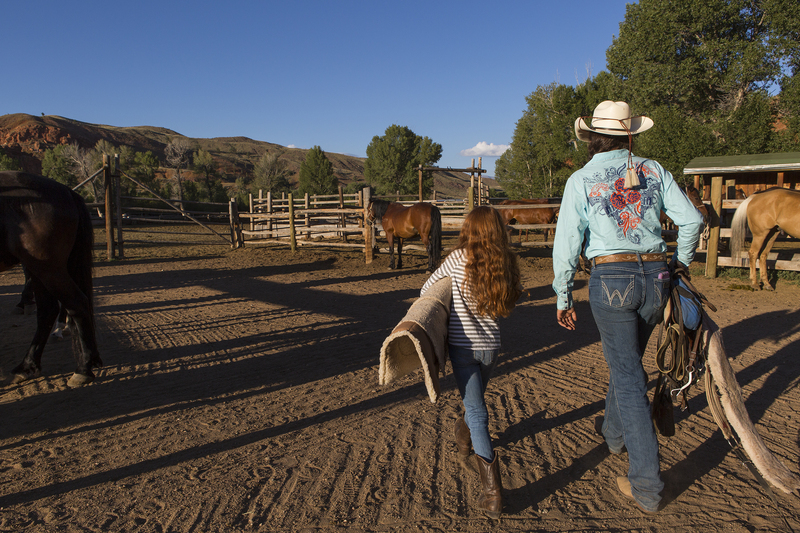 Our team of experienced wranglers will carefully match you with your horse for the week, and you are always welcome at the corrals to help groom and saddle your horse in the morning. Guests are grouped in small groups with others of similar age (children) and ability, and the rides range from 2.5 hours to all-day. 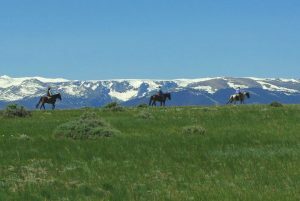 Below is an overview of our weekly horseback riding schedule, including the other great Wyoming activities we offer. Guests arrive at the ranch between 1:00 and 3:00 p.m. so you can ride that afternoon. 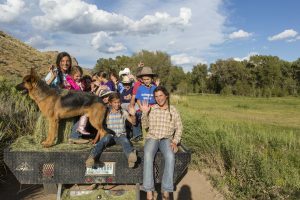 Children meet the wranglers for dinner. 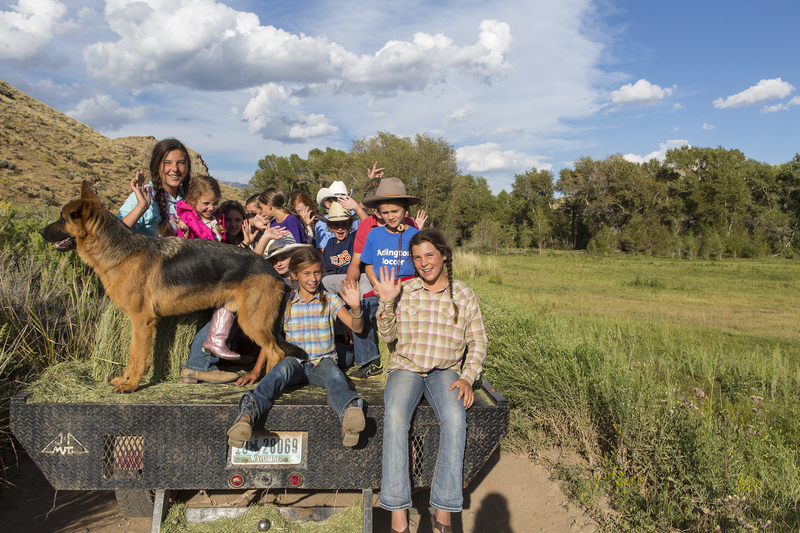 After dinner the children help our wranglers “push” the horses back into the corrals from being out at pasture. At the corrals the children are taught basic riding skills and our safety program is discussed. Adults also spend some time at the corrals reviewing our riding and safety program before enjoying happy hour on the porch and a 3-course sit down dinner. 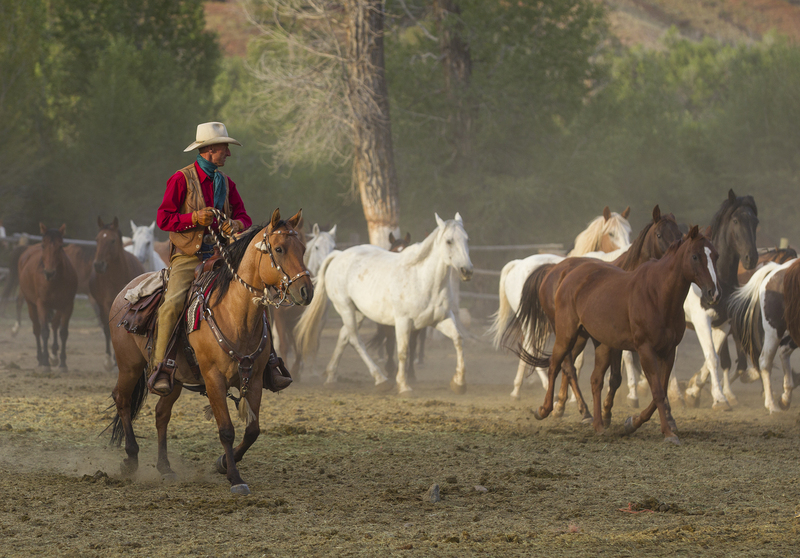 A hearty ranch breakfast for all and then to the corrals for a morning ride. You’ll be back in time for a delicious lunch. There’s an optional afternoon ride. Enjoy some local musical entertainment at the lodge before a family dinner. 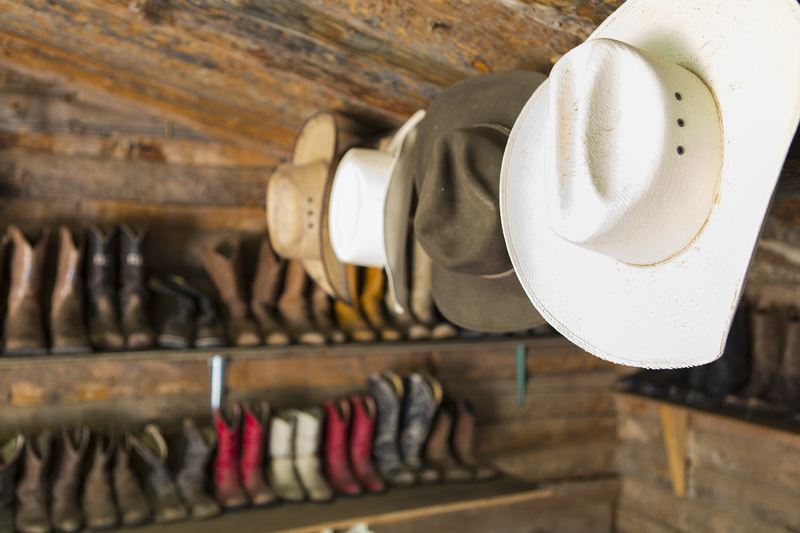 Start your morning right with a cowboy breakfast cooked at the fire pit followed by a morning mountain ride. 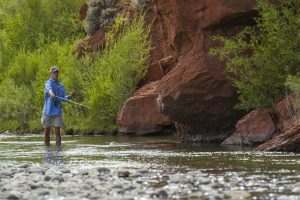 There’s lunch at the ranch and afternoon activities available: crafts, fishing, hiking, and swimming. 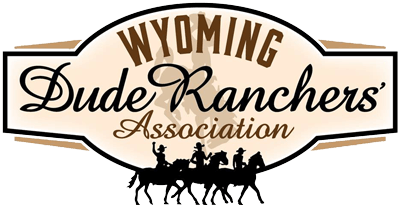 An early supper for all gives you a chance to venture into Dubois to shop a bit before the weekly square dance (seasonal dates). 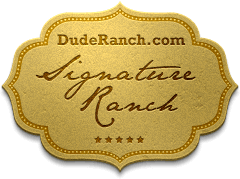 A hearty ranch breakfast for all. 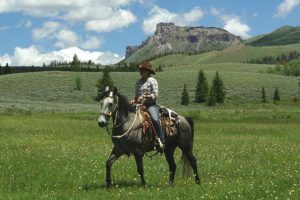 Explore some spectacular terrain on an all day ride and then it’s back to the ranch for a well-deserved happy hour and dinner. A hearty ranch breakfast for all. 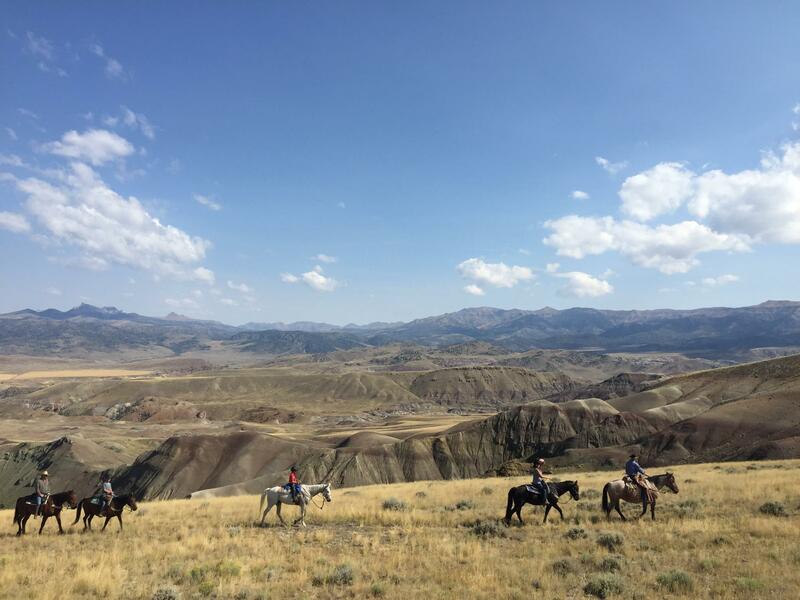 Morning ride on the high plateaus surrounding the ranch with 360-degree views and a chance to see wild horses. Back for lunch and an afternoon of activities including the rifle range (12 and older) and a roping clinic. 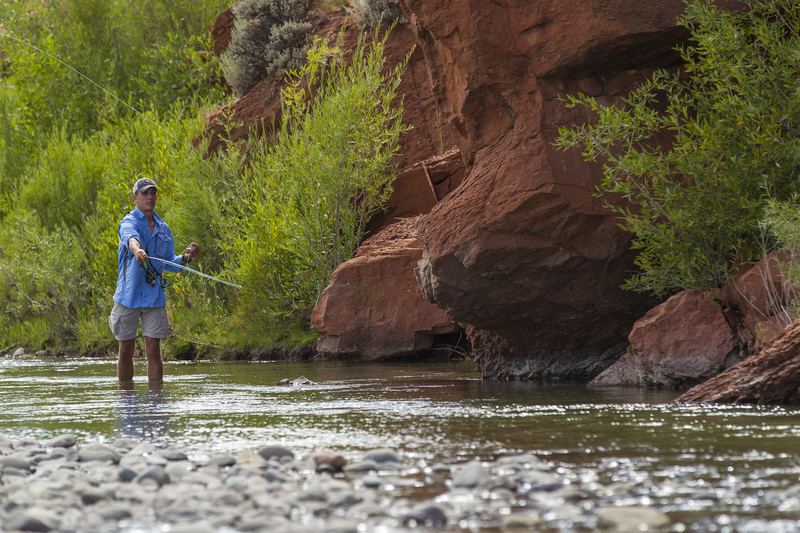 The kids head out to a campfire cookout while adults enjoy a sit down dinner at the lodge. A hearty ranch breakfast for all. 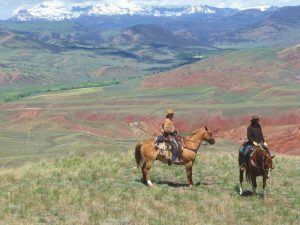 Another all-day ride to explore the high country and lunch on the trail. We cap the week with happy hour and an outdoor BBQ steak dinner followed by an evening around the fire and cowboy poetry. One last delicious breakfast with made to order omelettes, homemade treats, yogurts and fresh fruit. Teary goodbyes at the corrals and hugs to all, as newly made friends continue on their journeys.